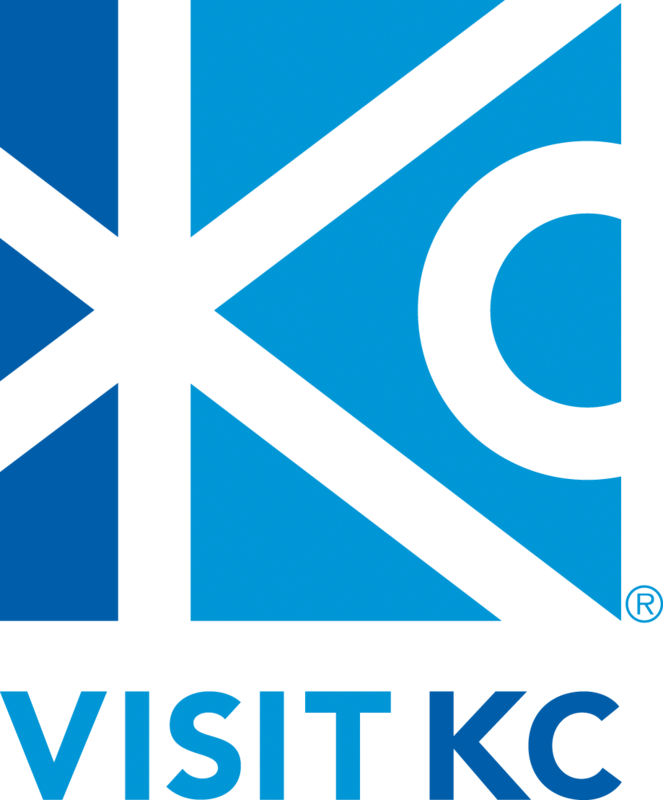 Airlines Are Now Asking To Be Bumped From KCI Flight | Save KCI! Is anyone really surprised that the chaos that preceded the KCI vote last year has been one-upped by the chaos that followed? 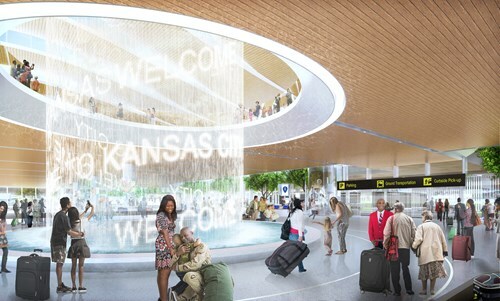 Of course the good news is that now, finally, the airlines have said what I and others have been saying all along – they’re not writing a blank check for a new terminal at Kansas City International Airport and in fact, they’re not writing a check at all. A year ago voters overwhelmingly said yes to a new terminal at KCI in spite of not having a final design, a final cost estimate, or a final developer agreement. There were of course dramatic renderings with a magnificent multi-story fountain (albeit no seating in the gate areas) and an estimate of $964 million – which came in conveniently below the dreaded “b-word”. Of course, the cost was not really that important since “the airlines are paying for it” however it was important to make sure that the cost of a new terminal was seen as less than renovating the existing terminals so as to remove that option from the conversation. Mission accomplished – until a couple of weeks ago. A couple of weeks ago it was revealed that the projected cost of the new terminal project had increased by at least 50%. It was also revealed this week that the airlines have not agreed to terms on their next lease and that two of the airlines, Spirit and Allegiant, have said that they will not be able to afford to service KCI under the new terms. Matt Klein of Spirit, quoted in the Kansas City Star said, the current proposal is, “too costly for smaller new entrant carriers to bear and sill deliver the value that we deliver to the community in terms of low airfares.” Please notice how finally, we have an airline official publicly connecting the cost of operating at an airport to the airfares they charge people at that airport. Moreover, what Mr. Klein is saying is that since Spirit is a low-cost carrier, raising fares is not a viable option in their model, so they would simply leave the market and take their planes where they can fill them more profitably. This is the same warning that Southwest gave the Airport Task Force in 2013 when cautioning the city about spending too much on a “Taj-Mahal” terminal. The reality is this: The airlines are no longer on board like they were a year ago. It would not surprise me to see them at least ask about revisiting renovating the existing terminals, including the reuse of Terminal A, since the cost of renovation is no longer more than the cost of a new single terminal. In fact, it’s now several hundred million dollars less. Remember, it was cost, not the coolness of a new terminal, that swung the airlines over from renovation to building a new terminal. And in spite of being told that carriers could not grow in the existing terminals, KCI has had remarkable growth recently in new service, new carriers, and new non-stop flights including international service, and a carrier (Allegiant) that the previous Aviation Director said would never come here without a new terminal. Ironically, they are now threatening to leave if we build one. Part of the reason for this growth is the fact that for now, it costs less per passenger for airlines to operate here than at other airports. KCI’s “cost per enplanement” is in the lower third of comparable airports. It was estimated that a new terminal would put us around the middle of the pack or slightly above – not enough to impact service. It’s not been revealed what another 50% spike would do to that ranking but Southwest warned that airports in the top third are certainly not expansion targets and risk losing service. 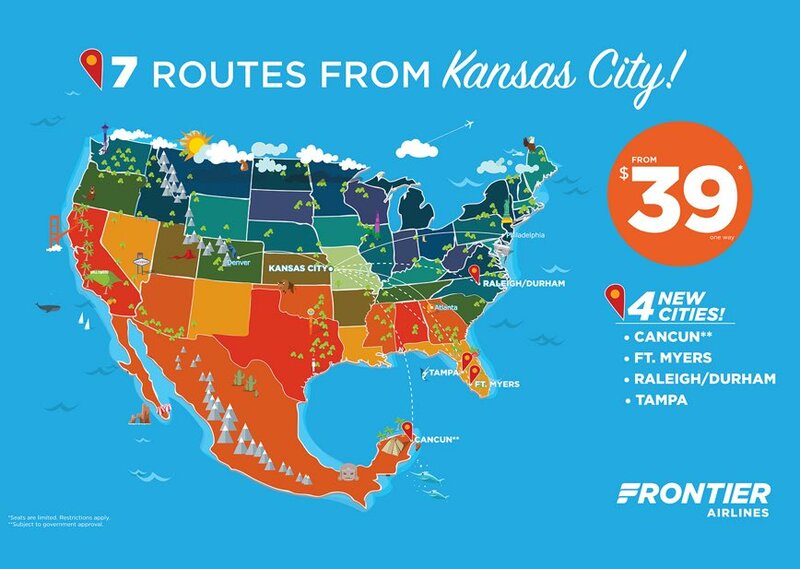 Southwest also just announced 20 new flights to St, Louis – an airport ranked in the middle operating in a renovated terminal. While new terminal proponents will be quick, and correct, to point out that Southwest does not now have room at KCI to add 20 flights, nor would we get them over St. Louis if our cost per passenger shoots past theirs, which is likely what will happen if we build the terminal as currently estimated. Dear reader, if you take nothing else away from this post, take away this: Airlines do not “pay” for airports. They pay to operate there under a lease agreement and that money, along with parking, concessions, real estate, and other fees pays for the airport. And if the airlines reduce service, they reduce their share of the cost. If they don’t operate here at all they don’t pay at all. Meanwhile, the cost of whatever we do in terms of a new terminal or renovation remains. Think of it like building an office building. It’s great so long as it’s filled with tenants paying rent. But if you run them off because the rent is too high, you have no rental income but still need to make payments to the guys who built your office building. It’s time for everyone to pause and reset. Four gates and larger hold areas alone don’t add half a billion dollars to this project – especially since they only bring the terminal to what it should have been in the first place. We need transparent answers behind the cost-drivers as well as details behind Burns and McDonnell’s recent claim that they can deliver the terminal for $2.7 billion, including interest, over 30 years — compared to Edgemoor’s estimated $4.38 billion over 35 years. We need to know why the dramatic fountain is gone and why the updated renderings are pretty generic with not much discussion any more of all the new amenities we were promised that a new “front door to our city” would bring. All we heard for years was that “we are not going to build a Taj Mahal.” Now we’re being asked to pay for a Taj Mahal that might not be more than a double-wide with lots of windows. No one wants to start over. But continuing down the same road when you already know that the destination is a bad one is irresponsible. I know that most of the Council is running for mayor and everything is first put through the “how does this impact the campaign” filter. But someone needs to step-up and get this back on track. If we don’t put a cap on costs, we lose the airlines which means we have less service (kinda the opposite reason for doing this) and are on the hook for paying for it for the reasons noted above. So there needs to be a cost cap they can live with but, one that also provides the facility improvements and attractive, useful amenities that everyone voted for a year ago. If we can’t accomplish those two things, then we need to take a hard, responsible look and reassess why are we even doing anything. The renovated terminal design approach, which I created back in April 2015, is still the right answer for Kansas City. The false data that was put out by the City and Airport management to claim that a new terminal (with only 2/3 as many gates) was about the same cost as renovating the two terminals was a fraud. I’m still puzzled why the airlines “bought” into that bogus “estimate”. And as your post shows so well, it is all coming unhinged now with the real (or at least semi-real) costs for a new, incredibly bland terminal. And those new cost estimates do not factor in the skyrocketing construction costs of the past months due to tariffs on construction materials. Anything this city tries to do turns into a giant cluster. Since the KC Star’s Editorial Board drank the single terminal Kool-Aid, I’m not holding out hope that the Star will admit it’s didn’t do it’s due diligence when evaluating the claims of Edgemoor and the City Council. Amortized over 30-35 years? With carbon and resourse depletion issues, Americans will not be flying around like we do now even ten years hence. Bad move. People USE an airport. They don’t come here because we have a cool airport. Great analysis. Here’s another fact: Low-cost carriers (LCCs- Southwest, Spirit, Allegiant, etc.) are in a ferocious commercial war with the larger airlines. 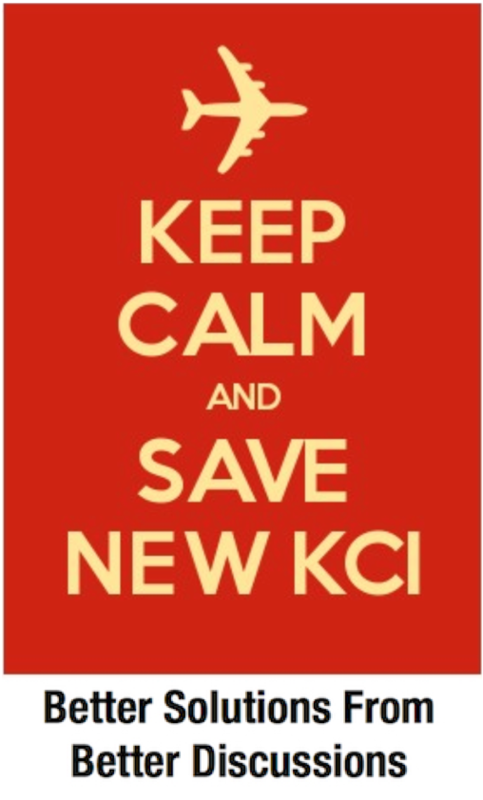 Will the bigs use the rising costs to drive out the LCCs, hoping to protect market share at KCI? If so, this will result in higher ticket prices and reduced carriers. Have we started a war between carriers? Not what folks voted for.